Trafford & Hulme branch is one of several CAMRA branches participating a a trial of a Beer Quality Accreditation Scheme. 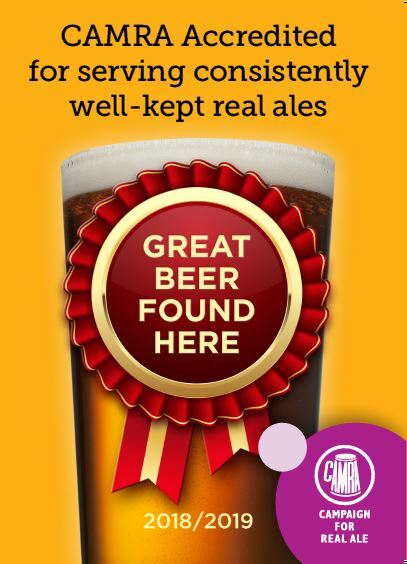 Recognizing pubs consistently selling well-kept real ales is an important aspect of CAMRA’s campaigning to improve beer quality at the point of dispense and this new accreditation scheme is a means of recognizing quality. Pubs that gain accreditation can publicise the fact, including the display of the attached window sticker. The award is made based on scores entered into the National Beer Scoring Scheme by CAMRA members. CAMRA memberes are encouraged to score all real ale, cider and perry that they drink. For more information on this see the Beer Scoring page. The following pubs and clubs within the branch have currentlt achieved the requied standard and been awarded this accreditation. The scores will be reviewed on an regular basis, and additional pubs who attain the required standard will be added to the list.